Saudi Arabia’s energy minister Khalid al-Falih tried to put the markets at ease by all but confirming that OPEC would extend its production cuts through the end of the year. He tried to talk up oil prices even further by hinting that the group might even agree to a 9-month extension. 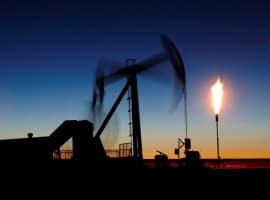 With the OPEC cuts seemingly assured for little while longer, surely the global surplus is poised to shrink in the relatively near future, pushing up prices? Perhaps. But higher production from within OPEC could once again lead to disappointment. Libya’s National Oil Corporation just announced that it ramped up production to a two-year high of 796,000 barrels per day (bpd). That should definitely be a cause for concern for the oil bulls out there. For much of the first quarter fighting in Libya knocked production offline, briefly taking output below 500,000 bpd. The outages were one of the rare bits of bullish news amid a sea of oversupply. But just as Libya appeared to present risks to global supplies, it has once again restored output and then some. Just shy of 800,000 bpd, production is the highest it has been since October 2014. Even better for Libya (but worse for oil prices), Libya is aiming to ramp up production to 1.2 mb/d by the end of the summer. That seems like a long shot, and maybe it is. But if we have learned anything from Libya this year it is that anything can happen. Multiple times over the past few months the National Oil Company has added 100,000 or 200,000 bpd almost overnight. As recently as the end of April, the NOC said Libya was producing 700,000 bpd; a few days later it is producing just about 800,000 bpd. So, one cannot rule out the possibility that the NOC achieves its goal. If that comes to pass, Libya would add another 400,000 bpd over the course of the next few months. One thing working in Libya’s favor is that the political process is progressing. Libya has been torn apart by political jockeying between rival factions as much as it has been by militant fighters, so the fact that the governments of east and west agreed to form united institutions and a national army in early May bodes well for some degree of reconciliation. Another country that could spoil the efficacy of the OPEC extension is Nigeria. Reuters reported on Tuesday that Royal Dutch Shell is conducting tests on its Trans Forcados oil export pipeline, which has been offline for the better part of a year. In early 2016, the Niger Delta Avengers successfully pulled off a seemingly endless string of attacks on Nigeria’s oil infrastructure, knocking more than a half million barrels per day offline. Forcados was one of the most critical targets, a pipeline that is responsible for 200,000 to 240,000 bpd of exports when operational. Reuters said that exports could restart as early as this weekend. Libya and Nigeria are exempt from the OPEC cuts, so they are not bound by any international agreements to keep a lid on production. In fact, both countries are in desperate need of higher output. There is no guarantee that they can succeed in bringing production back online, but at the upper end, they could potentially combine for some 800,000 bpd of additional supplies this year. 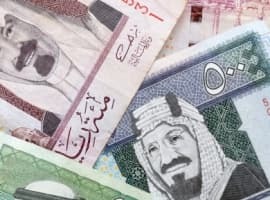 That would more than offset Saudi Arabia’s cuts under the OPEC deal, and in fact, it would account for just about two-thirds of the group’s entire reductions. Again, this is far from inevitable, but entirely possible. Iraq poses a third risk from within OPEC, although to a lesser degree. 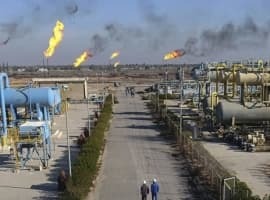 Iraq is subject to the production limits, even if some Iraqi officials insist they should have also received an exemption. Iraq signed on to cuts of 210,000 bpd last November, and compliance has been decent but spotty. Through the first three months of the year, Iraq has made some cuts but has still not brought production down to its promised target. It still has time to comply, but because the deal is a six-month average, it would need to bring output well below its target in order to bring the average sufficiently down. All signs still point to an agreement on an extension of the cuts in Vienna in a few weeks’ time. But Iraq could undermine the resolve of the group if it pushes for an exemption. Or, more likely, it will agree to extend the cuts, but will continue to comply at a less-than-100-percent rate. Ultimately, that could spur weaker compliance from other members, especially if oil prices fail to rally. Libya and Nigeria are altogether different. They could add large new sources of supply regardless of what OPEC agrees to.